GEBCO is a nonprofit organization operating under the joint auspices of the IHO and the Intergovernmental Oceanographic Commission (IOC) of the United Nations Educations, Scientific and Cultural Organization (UNESCO). It aims to provide the most authoritative portrayal of global ocean depths and the undersea feature names. The 14-member Guiding Committee is responsible for overseeing the work of GEBCO’s subcommittees and ad hoc working groups. Millar’s appointment marks the first time a non-government industry stakeholder has served as a member in any capacity. 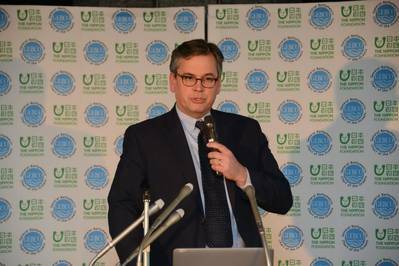 “We are very pleased to have nongovernment industry representation on the GEBCO Guiding Committee at this time, when government, academic and industry collaboration will be critically important to the development and success of the Nippon Foundation-GEBCO Seabed 2030 project,” said IHO Director Mustafa Iptes, who oversees inter-regional coordination and support programs for IHO, under which GEBCO falls. A hydrographic survey and ocean mapping professional with 30 years of experience, Millar previously served as Fugro’s regional hydrography service line manager before taking on the role of government accounts director. Since 2017, he has also led Fugro’s involvement in the Nippon Foundation-GEBCO Seabed 2030 project, serving as a member of the group’s Establishment Team and coordinating Fugro’s contribution to global ocean mapping activities.